Ho Chi Minh (Hồ Chí Minh) City is the flagship city of Vietnam in terms of economic development as well as international exposure. Also known as Saigon (Sài Gòn), this vibrant city is really a worth-visiting destination for tourists when travelling to Vietnam. The former Saigon boasts charming French colonial architecture along with wide boulevards, often thronged and choked with traffic. If Ho Chi Minh City of Vietnam is one of the points in your buckle list of places to visit, then you should read this article. 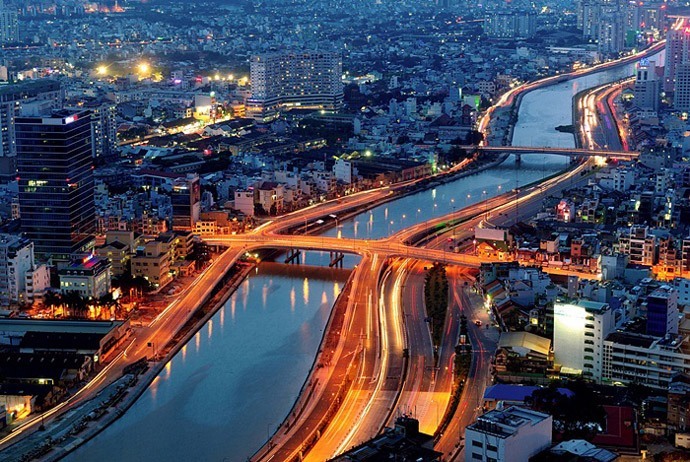 Here, you will discover top 19 Ho Chi Minh attractions, which no tourist will bypass. Take a look! 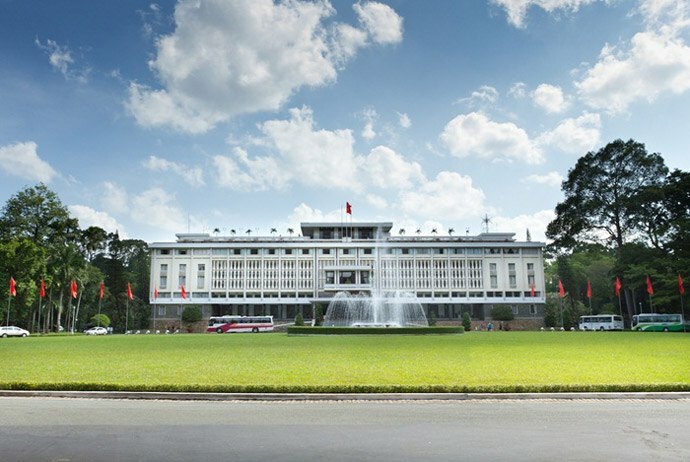 When it comes to Ho Chi Minh attractions, Reunification Palace is definitely your first great choice. Reunification Palace is a government building featuring with dissonant 1960 architecture and being surrounded by Royal Palm trees. This is an important site of political and culture significance, built by the French in 1868 in order to mark the newly built colony of Indochina. Today, Reunification Palace, nowadays known as Independence Palace, is a working government building and having specific areas open to the public. By touring the private quarters, the president’s former office as well as the War Command Room, tourists can get a real sense of what occurred here and its role in Vietnamese history. Reunification Palace is open to tourists as long as official receptions or meetings are not celebrating. French and English-speaking guides are on duty during opening hours. You should visit the maze of basement rooms, where the informative movies are shown on the screens continuously. 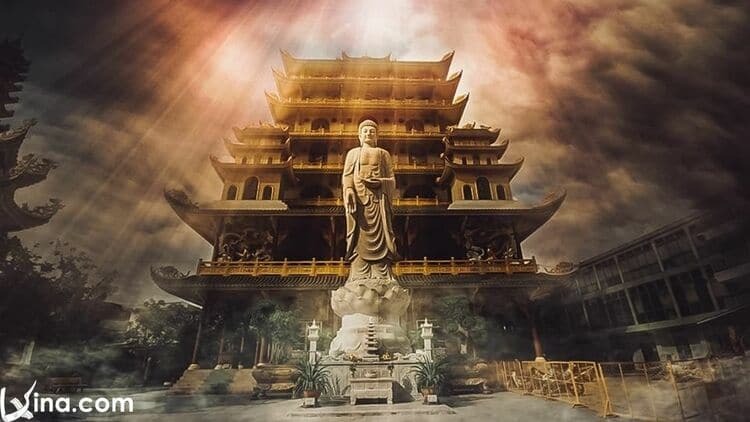 Established in 1909 in honor of the supreme Taoist god, the Jade Emperor Pagoda is also called as Ngoc Hoang (Ngọc Hoàng), this is one of the most spectacularly atmospheric temples in Saigon. This is stuffed with statues of phantasmal divinities as well as grotesque heroes. Once known as the Museum of Chinese and American War Crimes, the War Remnants Museum is popular with Western visitors. Here, you will witness the most disturbing photos demonstrating US atrocities, artillery pieces, armored vehicles, bombs, and infantry weapons. 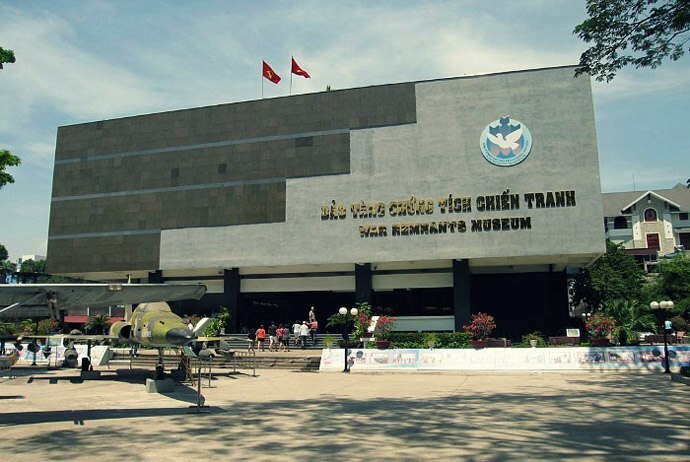 The War Remnants Museum is in the former US information Service building and captions are in both English and Vietnamese. 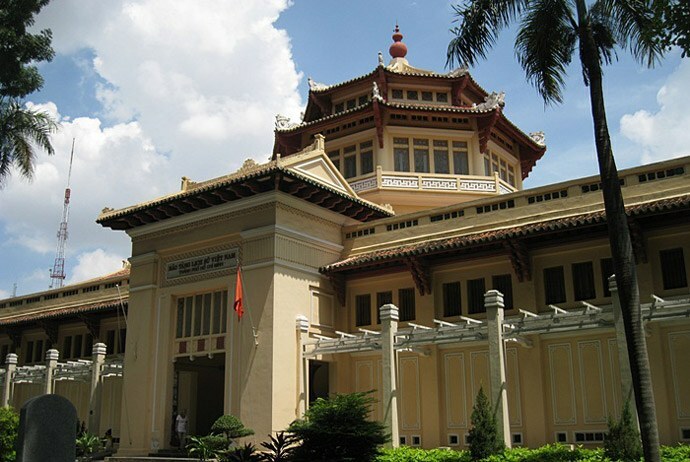 One of the most recommended Ho Chi Minh attractions is Fine Arts Museum, among the largest fine arts centers of Vietnam. This is a colonial-era white-and-yellow building stuffed with period details and is a combination of Chinese and French styles bringing about typical colonial feeling through its marble floors. With the airy corridors and breezy verandas, Fine Arts Museum is elegant and exuberantly tiled throughout. It is no wonder that this building is reckoned as the masterpiece itself by most visitors. Being an indispensable place for those who are interested in Vietnam arts and culture, Fine Arts Museum is not modern and big enough, but its abundant collections could make up for those disadvantages. It focuses on collecting, keeping, preserving, and displaying fine artworks typical of Vietnamese people. It has three floors of exhibiting space. The first floor is dedicated for both domestic and international arts display while the second floor is for storing arts work – both sculptures and paintings of those Vietnamese and non-Vietnamese artists. Trinh Cung (Trịnh Cung), Diep Minh Chau (Diệp Minh Châu), Do Quang Em (Đỗ Quang Em), and Nguyen Gia Tri (Nguyễn Gia Trí) are some leading artists of Vietnam over the last 50 years whose art works are displayed there. The third floor is where a collection of historic arts displayed, ranging from the 1st century to the early 20th century. If you only have time to see one Vietnamese pagoda, then you should visit Phuoc An Hoi Quan Pagoda. This pagoda, among many religious Ho Chi Minh attractions, is particularly well-known for the vast collection of carvings, figurines, and hanging lanterns. Delightfully fronted by green trees, and opening to an interior blaze of gold, red, yellow, and green, this is considered as one of the most nicely ornamented temples in Saigon City. Dedicated to Quan Cong, a lot of Vietnamese people visit this place before embarking on a journey as a worship visit here is strongly believed to bring happy and good luck for the journey. Before departing on that journey, many people make offerings to the equine figure, before stroking the mane and ringing the bell around the neck. Keep reading this list of Ho Chi Minh attractions to visit more must-see places in Saigon! Established in 1929, this notable museum houses an interesting and rewarding collection of artefacts demonstrating the evolution of the cultures of Vietnam, from the Bronze Age Dong Son civilization and the Funan civilization, to the Khmer, Cham, and Vietnamese. This cathedral, one of the most famous Ho Chi Minh attractions, is situated in Saigon’s down. It was built from 1863 to 1880 by the French with the height of up to 60 meters. This is a symbol of Saigon, along with Ben Thanh (Bến Thành) Market. While the market stands at a crowded and modern corner of the business district, Notre Dame Cathedral is situated in a peaceful picturesque corner in Saigon’s downtown. The design of this building aims to show the influence of French civilization and Christianity over Saigon City. Right in front of the building, there is a Virgin Mary statue. Daily, every day, followers keep praying under candle lights in front of this statue. However, local and tourists also come here to discover the real and true soul of the city. In daytime, the cathedral looks most beautiful. The walls of interiors are inlaid with stained glass and devotional tablets. English-speaking staffs dispense visitor information from 9-11am from Monday to Saturday. If the cathedral’s front gates are locked, you should try the door inside of the building facing Reunification Palace. Generally, the Notre Dame Cathedral in Saigon is still used for worship; you should be respectful as a service is celebrating and never take photos of worshipers. Location: Han Thuyen (Hàn Thuyên) Street, Ho Chi Minh City. 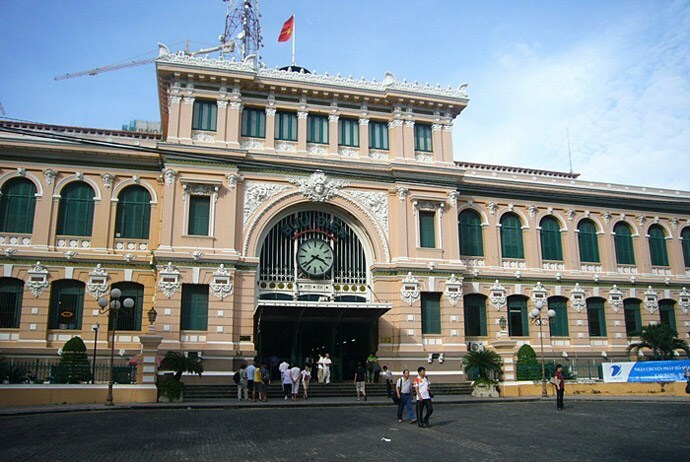 The next one in regard to Ho Chi Minh attractions is Central Post Office, which is situated in the heart of Saigon. It is one of the oldest buildings in this vibrant city, and was established from 1886 to 1891 with the help of a famous French architect – Gustave Eiffel. 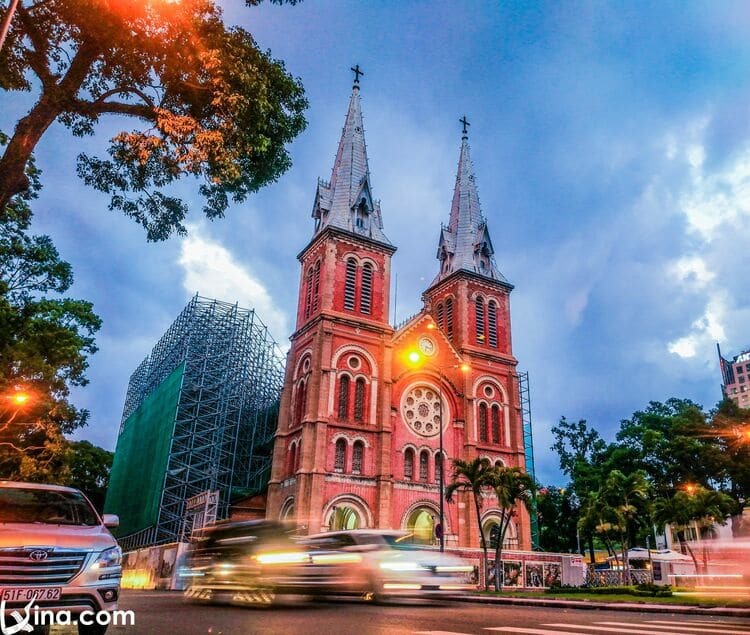 It is a meaningful symbol of Saigon City, like its opposite Saigon Notre-Dame Cathedral. With the mixture influences of Gothic, Renaissance and French styles, this building attracts visitors by its typical colonial French features, from both interior to exterior decorations. In the first time, tourists might feel that they are brought back to 20th century railway station in Europe, rather than a normal post office in an Asian country. Its interior design is more elegant, featuring with the phone booths that are the same as in the colonial period. Walking inside, this building is airy and big with lots of space. Its ceiling was designed with arc shape, making this building look more stable and grander. Looking perfectly harmony from the outside, this post office provides people with all types of postal services, such as selling or mailing postcards and stamps. There is also available for foreign money exchange. In fact, Saigon Central Post Office is often included in any city tour, because it quite easy to get there by walking, biking or riding motorbike from other Ho Chi Minh attractions, such as War Remnants Museum, and Reunification Palace. This attraction is situated near Notre Dame Cathedral, Diamond Plaza – the big, famous shopping venue in Saigon. These three buildings together create a popular area for tourists, both international and local to visit. Being a major water supply, the Saigon River is very important to Saigoneses. 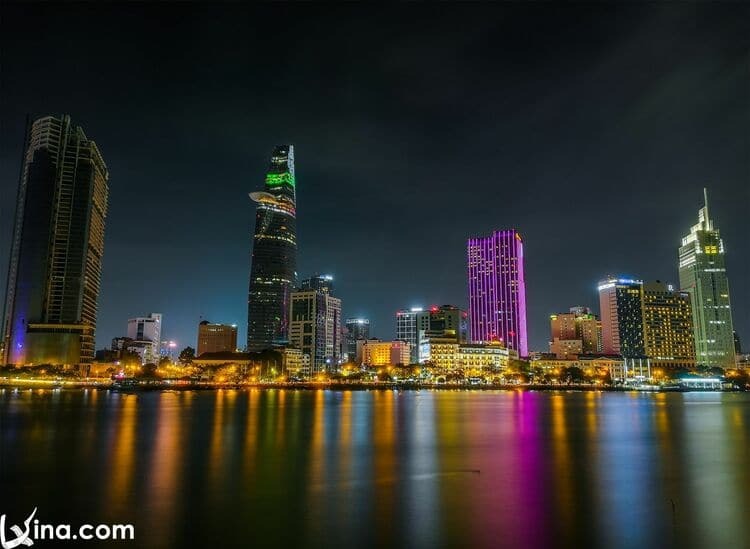 Just simply spend several days in Saigon, you will discover it is a modern, young city on the move. In contrast, wondering along the Saigon River, you will take a glimpse of a rural aspect of Vietnam, where daily life tends to move at a slower pace, like it did a few decades ago. In reality, the best manner to experience this river is by playing the water in a certain traditional Vietnamese junk boat. If you register in such tours, you can enjoy a meal, often lunch or dinner, along the way. Along the way, you could see the views of Saigon City. The tour guides are very enthusiastic and friendly and they could give you much interesting and informative knowledge about the great sightseeing on the way. Belonged to Mekong Delta, Saigon River tours also give you chances to visit local riverside markets featuring with colonial architecture, different workshops, and local pagodas. Are you fancy of walking and enjoying some authentic Vietnamese cuisine? Then you should add the following site to your list of must-go Ho Chi Minh attractions. 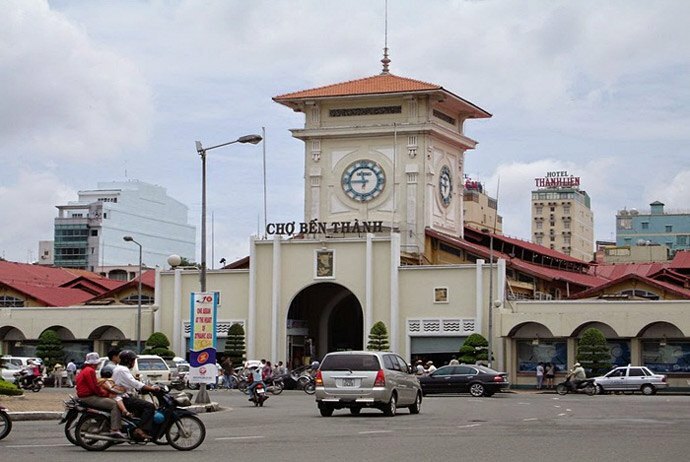 Ben Thanh Market is a bustling market of Saigon City, so it is absolutely an indispensible option when it comes to Ho Chi Minh attractions. This must-see attraction is a crowded market in daytime and a social center after the sunset. In the past, Ben Thanh market is a wet market built by many street vendors. Nowadays, Ben Thanh market has experienced lots of ups and downs throughout Vietnam’s history. 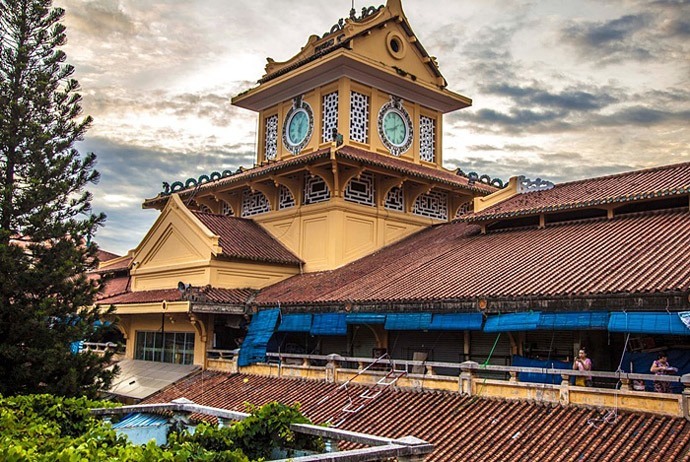 It is the oldest market surviving until now and is also one of most popular Ho Chi Minh attractions as well as symbols. Here, you will find nearly everything from clothes to dry food at such a very reasonable price. The atmosphere of this market could sometime be a hustle-and-bustle, yet it is really an exciting experience for tourists after all. Yet, do not forget to bargain when wondering around this market. From shoes, bags, clothing, jewelry to grocery, kitchen ware, sweets and great Vietnamese coffee, you could find almost everything that Saigoneses need for their own daily life here. Especially, if possible, you should take a look at those things for sale here, and see how local people make transactions or which type of goods is bought most by locals. That way, you can learn much about the life of a real Saigonese and get helpful experience for shopping in Vietnam as well. If you are a shopping enthusiast, then here is precisely an ideal place that you are constantly looking for. Ben Thanh Market comes alive each evening with tireless energy. From late afternoon to late night, the shops inside this market are all closed, yet some restaurants are still open outside, right on the surrounding streets. There are a variety of options for you to choose in these restaurants, such as grills bubble teas, seafood, and so on. Really, Ben Thanh is firstly famous as the place for tasty Vietnamese street food. A lot of vendors as well as food stalls are stuffed here, offering guest various dishes freshly made according to the order. You can taste many types of local dishes, including Banh cuon (Bánh cuốn), Banh xeo (Banh xèo), Cha gio (Chả giò), Hu tiu (Hủ Tíu), Banh beo (Bánh bèo), etc. Besides, you can also enjoy cool beer at such a ridiculously cheap price (from $1 to $2 for a glass of beer only). On the other hand, aside from goods that are used for daily life, you can also find various eye-catching local handicrafts as well as souvenirs here. Simply pick up some beautiful, cute fridge magnets as gifts for your family and friends. Despite the quality of goods sold here is rather good, price is still often inflated up to about 2-3 times than the normal. Therefore, you should go at least 2-3 stalls in order to compare the prices. Moreover, that way, you can see how talent your bargaining ability is. 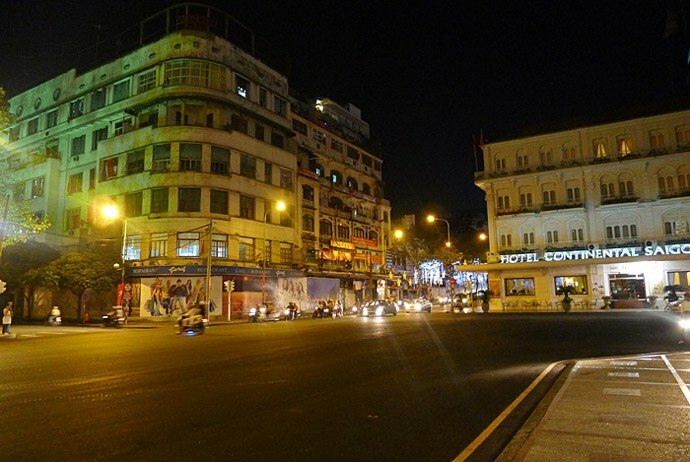 Now, Dong Khoi Street becomes the heart of commercial life of Saigon. So, it becomes a new option for tourists regarding to Ho Chi Minh attractions. Dong Khoi is a lively stretch of spans, shops and bars. It is the best place to admire those grand old buildings despite they are being overshadowed by nearby high-rise office towers. Boutiques, international brands, stylish cafes, and luxurious restaurants line this building street. This street has witnessed a lot of changes in Saigon. Walking along Dong Khoi Street, you can enjoy the stunning Gustav Eiffel-designed building – Central Post Office, the Opera House, the Hotel de Ville, the Continental Hotel, and stopping at the Notre Dame Cathedral on Paris Square. 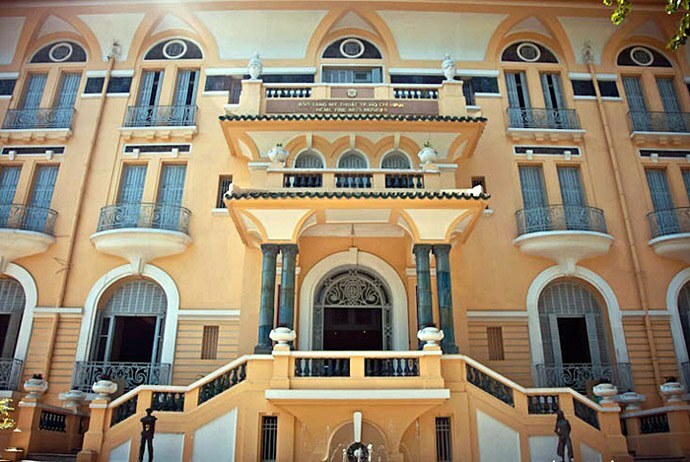 Among many elegant colonial buildings in Saigon, the Saigon Opera House might be the most elegant place that is located in the intersection of Dong Khoi (Đồng Khởi) Street and Le Loi (Lê Lợi) Street in District 1. 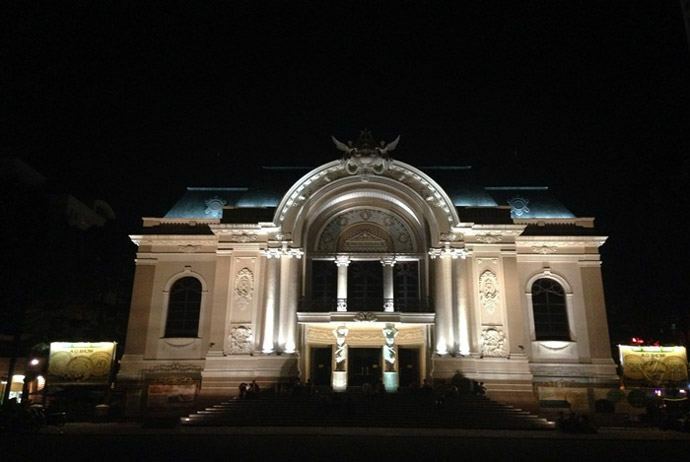 This is built in 1897 and is a restored three-floor Opera House with 800 seats. Saigon Opera House is not only used for staging but also for a wide range of performing arts such as musical concerts, ballet, Vietnamese traditional dance, as well as plays. In events, performances are advertised around this building. Having polished pearl appearance, Saigon Opera House is a great option for people who want to take photos, particularly at night when there is lots of orange, soft light. Situated about 2 miles (3km) from Chinatown, also known as Cholon, the Giac Lam Pagoda is a place of worship in this hectic metropolis. 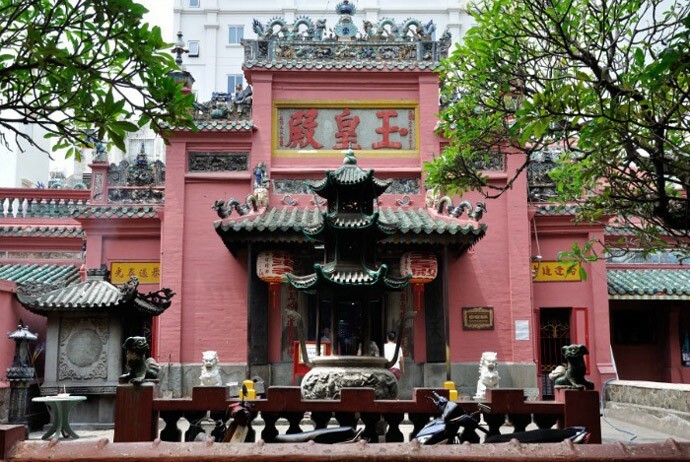 It is believed to be the oldest pagoda in Ho Chi Minh City. Surrounded by a tranquil walled garden, this pagoda is a seven-storey storing religious of the Buddha. Those families having sick or old people regularly visit this pagoda in order to pin supplications to the large bell, with the belief that once it is rung, their messages will be sent to the heaven above. If possible, you should time your visit at the right point, so you can witness the monk’s chanting. Keep in mind to dress respectfully with your shoulders covered. 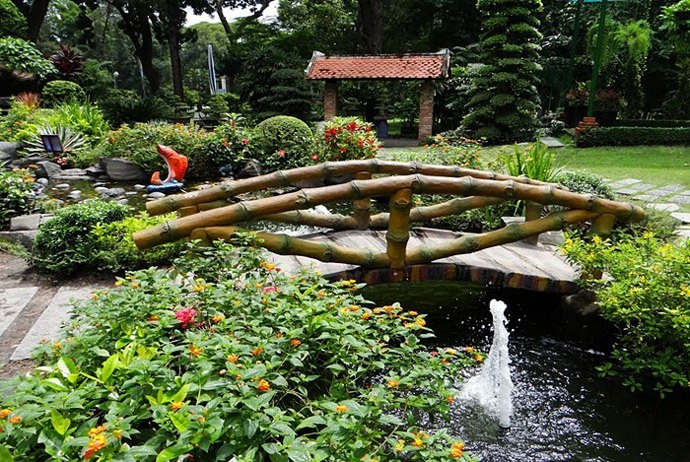 The Botanical Gardens, also called as Thao Cam Vien in Vietnamese, were built in 1864 by the French, and once had the great reputation of being some of the best in Asia. Thanks to the fine collection of tropical trees and plants, this area is pleasant for a stroll in the city’s heart, and is especially popular with Vietnamese people. It usually has entertainment each weekend. There are many animals as well as birds housed in better enclosures than where they once were. This zoo now has its own conservation program. You should visit it in the afternoon in order to watch those animals. With 262 meters in height, Bitexco Financial Tower in Saigon is located in the business district of Saigon, offering tourists such an unparalleled view of the city from its Sky Deck. This building was designed by the famous American Architect, Carlos Zapata, and has 68 floors, including shops, restaurants, offices, and a helipad. This is a true example of forward thinking and design. It has been ranked at the 5th position of 20 most iconic skyscrapers in the world. Besides, its structure has received the award of “Excellence in Structural Engineering” from NCSEA in 2011. Also, this building is confirmed as the 124th tallest building worldwide. The Sky Deck is the major attraction of this tower where tourists can enjoy spectacular 360-degreee views across the vibrant, bustling below. For international tourists, they could discover more about Sky Deck as there are interactive touch screen fact boxes, which deliver information about the city landmark. There are also local art exhibitions taken place in the Sky Deck where tourists can buy souvenirs, such as produced tea and textiles. Chinatown, also known as Cholon in Vietnamese, is the largest Chinatown in Vietnam. It is a place of cultural and historical importance. Today, Cholon is a popular place for all tourist trails, and particularly attracts a lot of Chinese and Taiwanese tourists. Being an interesting place featuring with traditional Chinese-style architecture, Cholon has a lot of Chinese restaurants. This market is messy and crowded with small aisles that sell many types of goods. Sometimes, this market disappoints tourists in comparison with other markets in Saigon City because the products are not really varied. However, this market attracts people also due to its authentic Chinese atmosphere that has existed here for a long time. At night, it brings a wonderful experience for visitors. This market offers all things you could think of, from fresh produce to clothes, shoes, and so on. 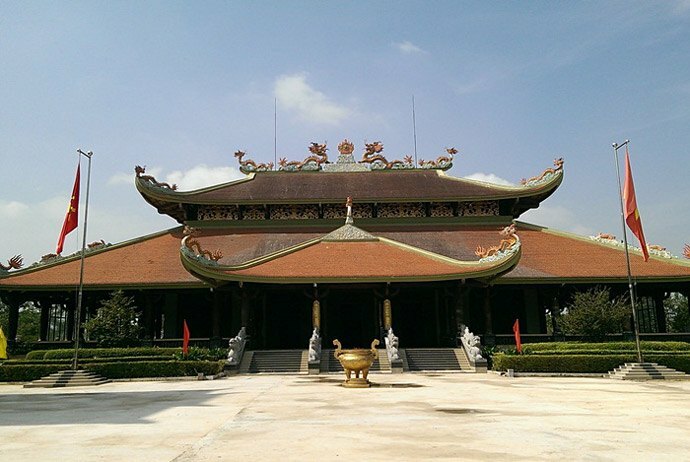 There are also a few attractions, such as Thien Hau (Thiên Hậu) temple and Quan Am (Quan Âm) temple. 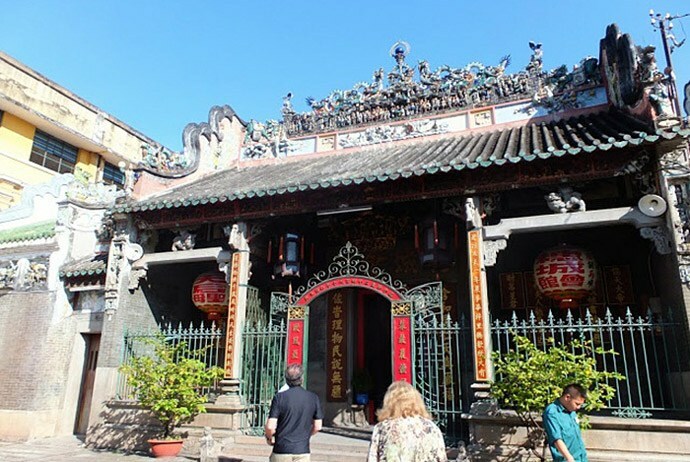 These temples feature with Chinese-Buddhist style exteriors and interiors with courtyards, pagodas, paintings and altars. On the other hand, Chinatown is stuffed with authentic restaurants and cheap street hawkers. Similar to a lot of Chinatowns worldwide, tourists can see lots of roasted pork and duck hanging right in front of those local eateries. If you love enjoying noodles in Chinese style, then you should not skip those sold in Chinatown. Pho rice noodles here use unusual herbs along with exotic foods like dried seahorse to spot and decorate. At night, Chinatown offers great night entertainment experience. Fortunately, it is situated rather close to the downtown of the city where all the night actions are available. Tourists can enjoy various choices of pubs, bars and cafes. And, some of them hold live music, performing by both local and international artists. The best part, nonetheless, is that alcohol and beer drinks in Vietnam are rather cheap, so you can enjoy it without too much cost. Though it is a wholesale market, tourists often come here to experience its unique atmosphere. You can tour around the market on foot or simply take a traditional cyclo ride to get your experience more interesting. To prepare yourself for the best day touring around Chinatown, you should wear light clothes as well as good shoes. They will make your trip more comfortable and enjoyable, particularly when it is during the most crowded time of the market. 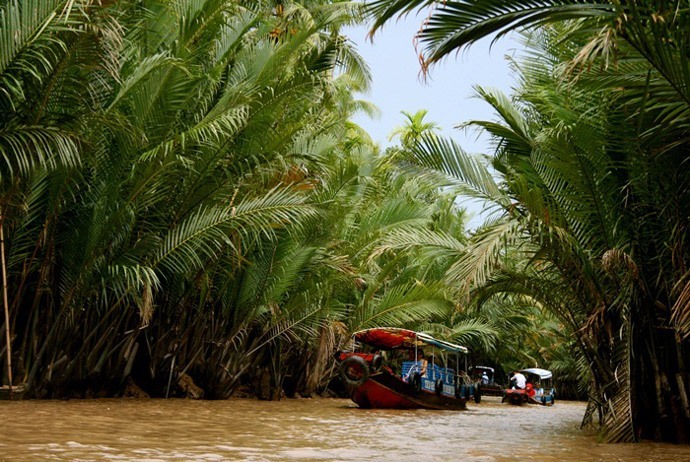 Called as the “rice bowl” of Vietnam, Mekong Delta is the most densely populated parts of Vietnam. With 39,000 square kilometers, it takes you about 4 hours to drive from the centre city to Mekong Delta. This is really another world, where villages, markets, schools are all floating on life-sustaining, sprawling estuaries. The best way to experience this delta is on a tour, from one to five days. Spend several days here if you can, you will be able to make your way over to Cambodia just by rive, instead of by bus or plane. Looking for a longer adventure? Check the attraction below! Another option among top Ho Chi Minh attractions here is Vam Sat Ecological Tourist Center. This is a smart choice for those who really would like to venture into the real wild yet could not afford to travel too far from Ho Chi Minh City. Situated in Can Gio District, Vam Sat lies between the two rivers Long Tau (Lòng Tàu) and Vam Sat (Vàm Sát). This area is used to be a part of Dong Nai (Đồng Nai) province before being merged into Saigon in 1978. There are a lot of activities offered at Vam Sat Ecological Tourist Center. 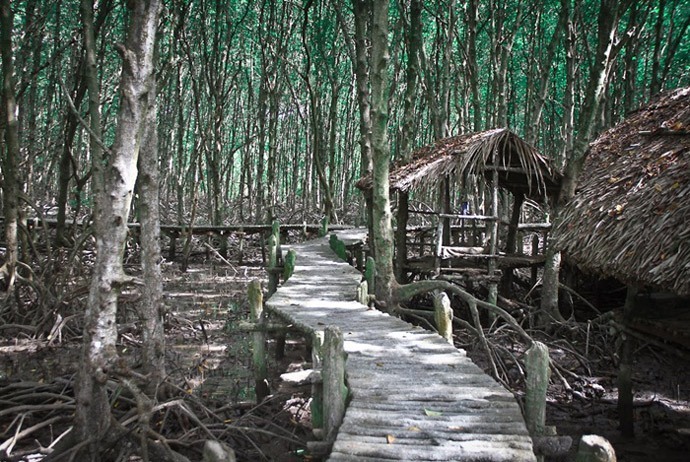 The basis tour should include observing the ecological system of the mangrove forest, visiting crocodile far, Bat Swamp, and bird-watching as well. For example, Bat Swamp is considered as one of most natural Ho Chi Minh attractions where visitors could find the natural beautiful scenery of flying foxes, which hang themselves behind the high mangrove foliages. If you are a person who wants to try something adventurous, then you should visit crocodile farm which offers you a little bit thrilling experience when you see crocodiles that are devouring the fish, and when you look at the red greedy eyes of the animals. 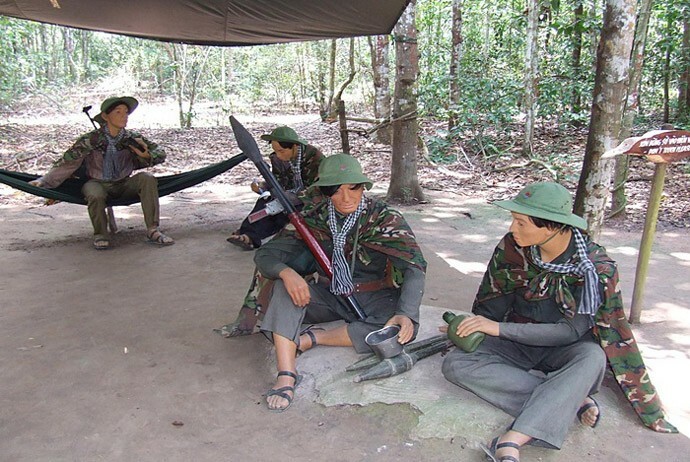 So, now you have a full list of most interesting worth-visiting Ho Chi Minh attractions? These Ho Chi Minh attractions are recommended by a lot of tourists, both domestic and international. Thus, it is no reason for you to not plan your trip to see these places if you have chance to travel to the hustle and bustle city – Saigon and if possible, try to visit all of these Ho Chi Minh attractions. Then, you will have memorable experience in this vibrant city!